Beautiful semi-detached house in Montaldo Scarampi, in the heart of Monferrato, declared UNESCO site. 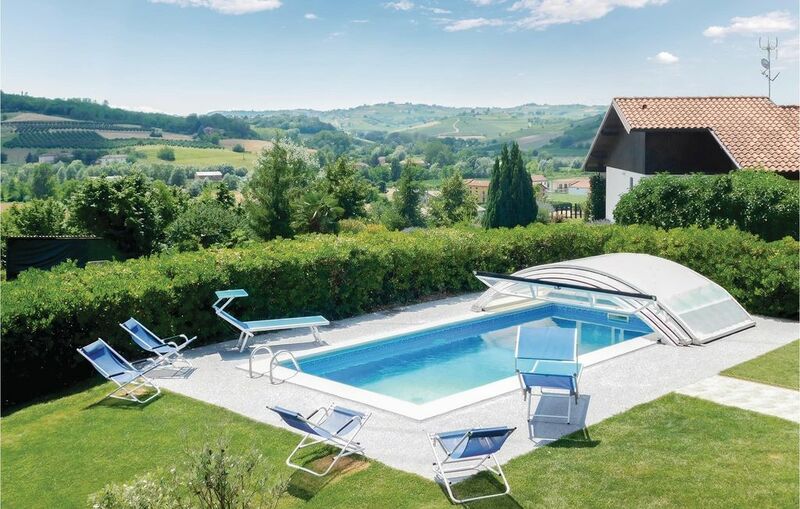 Guests have access to a private swimming pool and to a large garden with children's play area and to a barbecue area where you can enjoy your lunches and dinners while admiring the beautiful hills of Monferrato. Inside there is a nice open space with living room and kitchen, two bedrooms and bathroom as well as an area with sauna and fitness equipment. Within 5 km you will find several historic mountain bike trails. Nearby you can find Asti (20 km) and at the end of July there is a festivity in the village offering dancing evenings, theatrical performances, photographic and painting exhibitions accompanied by typical Piedmontese dishes paired with excellent local wines.